A web hosting company has a lot to gain by being open with their uptime. After all, their customers (and would-be customers) want to feel safe and know that their website is in good hands. 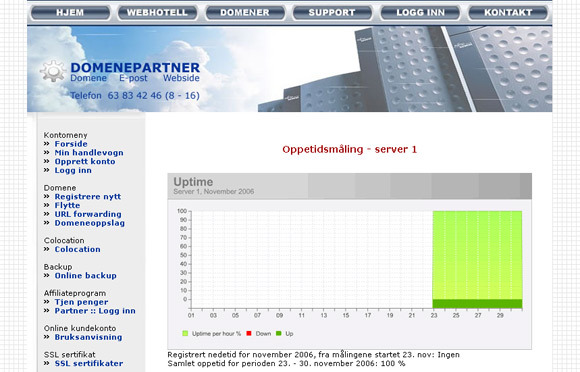 An excellent way to do this is to use an external third-party uptime monitoring service such as Pingdom (we are pretty biased here, for understandable reasons) and make the data publicly available like Norwegian Domenepartner has done. If you want to take it even further, the Pingdom API makes it possible to extract your uptime data in real time. Coupled with graphing software it would be possible to create some really interesting uptime statistics pages.